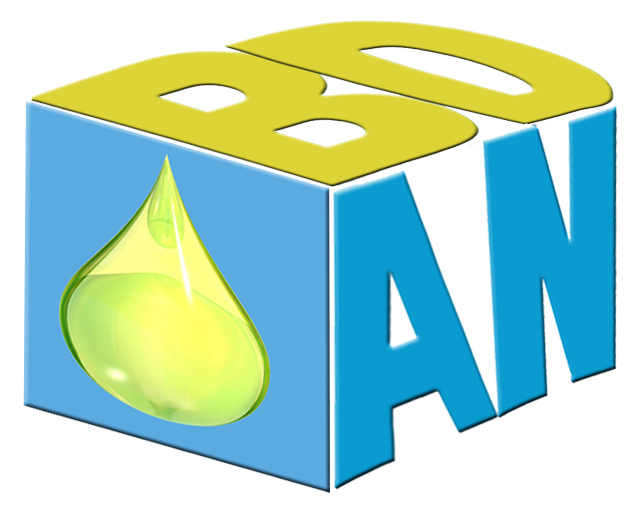 BiodieselAnalyzer©: Your Biodiesel Analyses Just A Few Clicks Away! The procedures used to experimentally determine the quality parameters of biodiesel are lengthy and expensive. In some cases, performing some required tests are impossible for an insufficient amount of oil is available. This is especially true in case of algal biodiesel. Here we report on a software package, BiodieselAnalyzer© Ver. 1.1 and 1.2, capable of bioprospecting 16 different quality properties of a prospective biodiesel by fatty acid methyl ester (FAME) profiling. More specifically, the only data required to perform the analyses are the FAME profile of the oil feedstock used in making biodiesel. Both the Online and Offline versions of the BiodieselAnalyzer© are intended for the Windows platform and are publically available at http://www.brteam.ir/biodieselanalyzer. The different biodiesel properties one will be able to investigate using BiodieselAnalyzer© include Unsaturation Level (including Saturated and Unsaturated Fatty Acids, Degree of Unsaturation), Cetan Number, Cold Flow Properties (including Cloud Point, Pour Point and Cold Filter Plugging Point), Oxidation Stability (including Allylic and Bis-Allylic Position Equivalents and Oxidation Stability), Higher Heating Value, Kinematic Viscosity and Density. Talebi, Ahmad Farhad, Meisam Tabatabaei, and Yusuf Chisti. 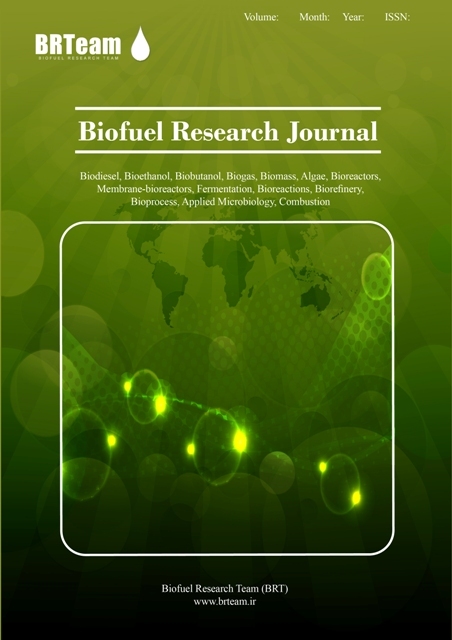 "BiodieselAnalyzer©: a user-friendly software for predicting the properties of prospective biodiesel" Biofuel Research Journal 1.2 (2014): 55-57. BiodieselAnalyzer© Version 1.1 (Offline App) consists of a series of pages describing your biodiesel properties. You can enter the GC data (percentage of existing fatty acids in an oil sample), navigating to each page by clicking the tabs located across the top of BiodieselAnalyzer main screen. The online version consists of a spreadsheet where one can key in the GC data (fatty acids profile (%) of an oil sample). The online version is available on http://www.brteam.ir/analysis/acme/ and it is compatible with Mozilla FireFox or Google Chrome only. The online version of the BiodieselAnalyzer© is very user-friendly. One can simply cut/copy data from other programs for example Word and Excel and paste them into the BiodieselAnalyzer spreadsheet. Then, click on the 'ANALYZE MY DATA' tab and you will be navigated to the results page where different biodiesel properties have been predicted. 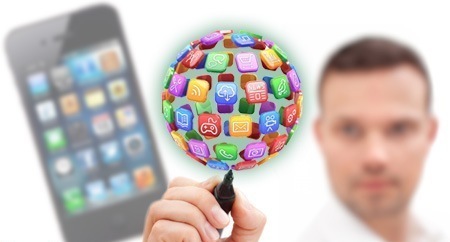 "Log into the Online Application here"
Please recommend BiodieselAnalyzer© to those who are tried of spending their valuable time and money on biodiesel analyses and instead, would like to have a field day doing it while they are sure the results achieved are publishable in high impact-factored journals. BiodieselAnalyzer© has been developed by BRTeam Members; Dr. Ahmad Farhad Talebi (Faculty Member of Semnan University), Kaveh Mohtashami (MSc); Amin Sabernagad (MSc) and Mohammad Reza Yousefi. The project has been led by Assist. Prof. Meisam Tabatabaei.